“I’m feeling spectacular. I’ve never felt this anxiety, happiness and exctasy at the same time. It’s awesome,” said Cameron Wienman, a High School student and one of the skater visionaries. Get involved and be a leader in your community. Join us for upcoming volunteer opportunities and make a difference in neighborhoods across Houston. Not many people get the opportunity to say they’ve designed a $1 million skatepark for their neighborhood, much less before they’re 21 years old. In Houston, however, a group of local teenagers were determined to get a skatepark in the Gulfton area. 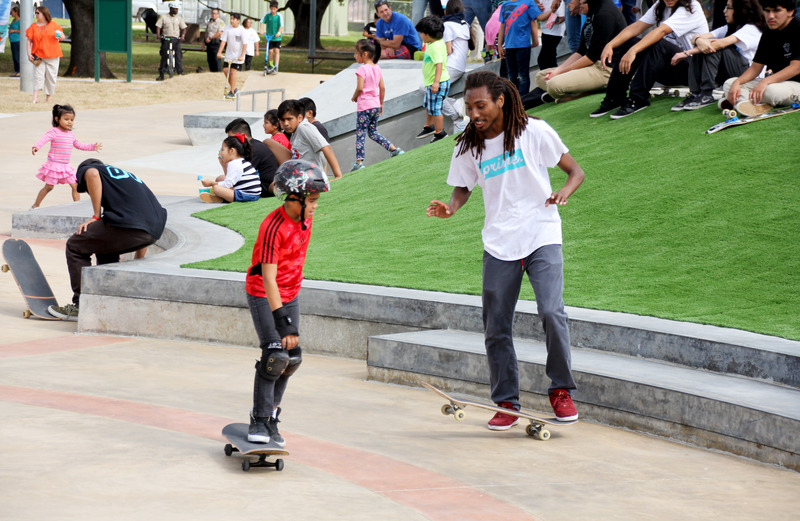 Their dream was simple: to have a nearby park to skate in and connect with other youth and community members. And today, after four years of hardwork, their dream is a concrete reality. 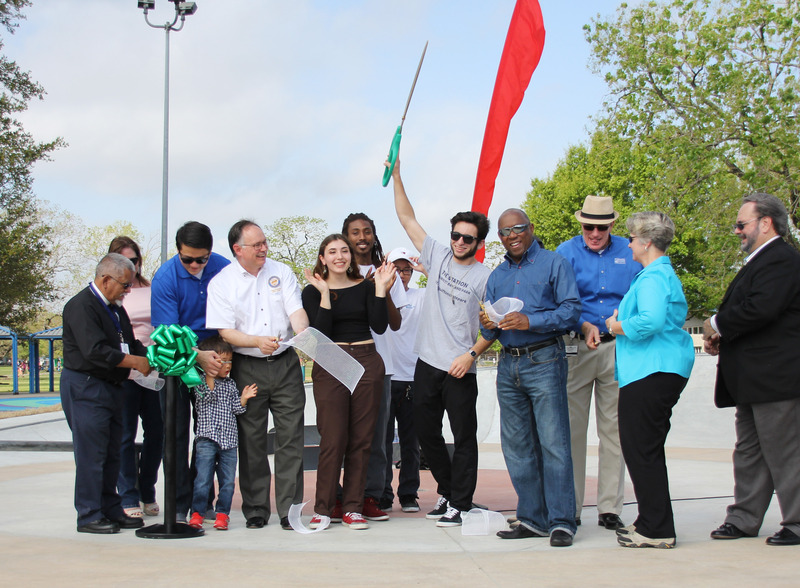 “The Station” Skatepark at Burnett Bayland Park opened on March 18. “I’m feeling spectacular. I’ve never felt this anxiety, happiness and ecstasy at the same time. 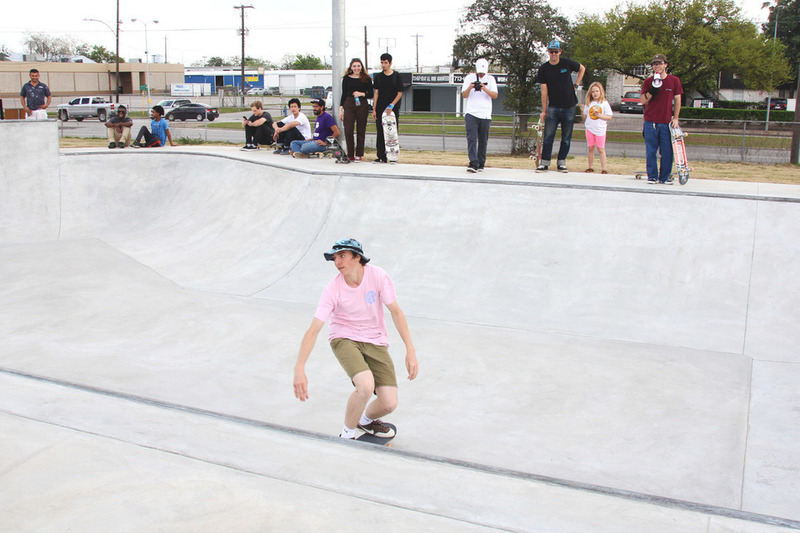 It’s awesome,” said Cameron Wienman, a student at Bellaire High School and one of the skater visionaries. It was late 2012 when the skaters started discussing their idea with District J City Council Member Mike Laster, who connected them to BakerRipley. Ana Mac Naught, Community Developer at Baker-Ripley Neighborhood Center, quickly invited them to a meeting to come up with a plan and fundraising initiatives. 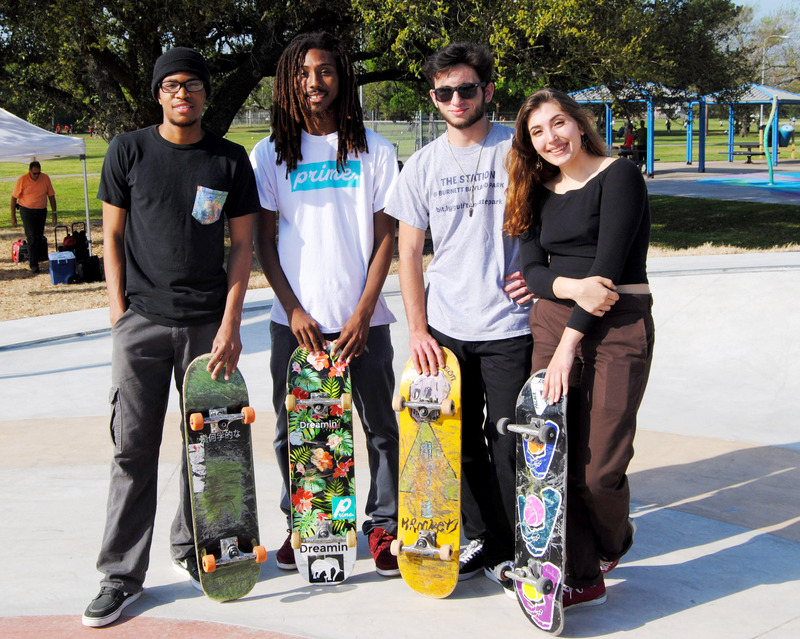 The youth group secured $1 million in funding from a variety of sources, including the City of Houston, Council Member Mike Laster’s Service Funds, the Houston Parks and Recreation Department, Baker Ripley and the Tony Hawk Foundation. When we invest in our youth to make our communities stronger, they can do great things. 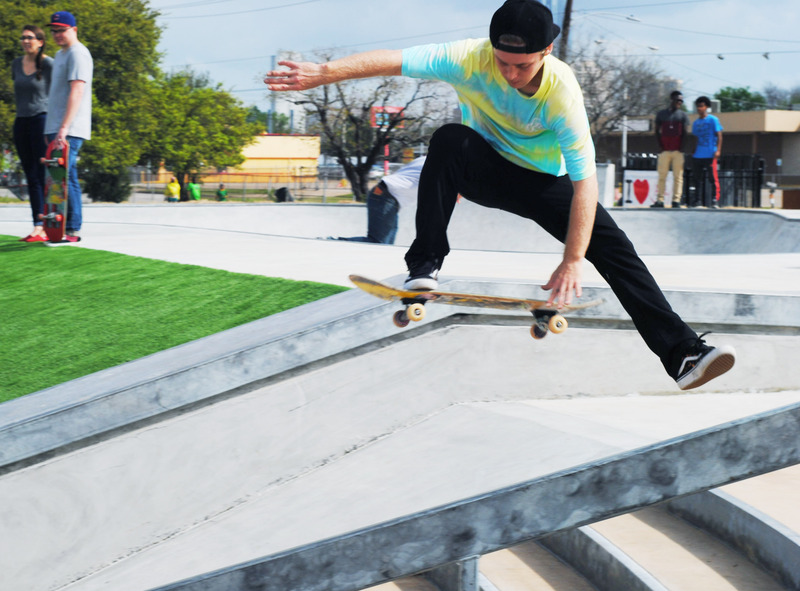 The Gulfton Skatepark is a testament to what happens when young people are empowered and equipped to take action. A special thanks to everyone who made this possible, great things happen when we work together. Photo: Brendan Sanders, Deandre Daniels, Cameron Wienman and Kaitlin Asch. Visionary skaters: Sanin Dosa, Juan Dunn, Deandre Daniels, Kaitlin Asch, Justin Wiederman, Tony Nguyen, Cameron Wienman, Tony Lin and James Edwards.